You realized that your friend’s birthday is fast approaching and yet, you still have no idea on what to give on his or her birthday. 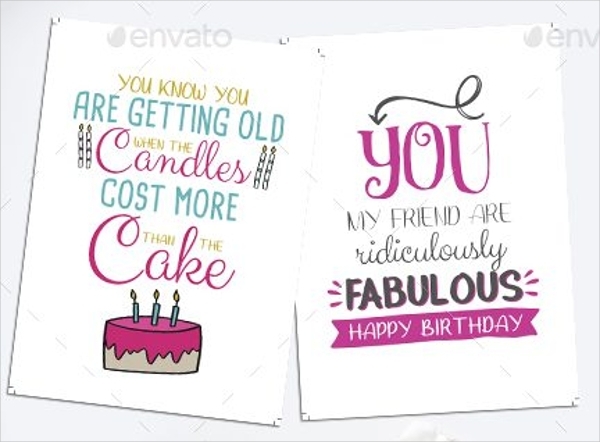 Worry no more since a simple yet creative greeting card could brighten up your friend’s day. You just have to put a little effort in creating it to make it more meaningful, priceless, and unforgettable. Though giving a greeting card is simple, at least this reminds your friend that you did not forget this one of the special days of his or her life. And as long as your friend knows that he or she can count on you no matter what, your presence is even enough than anything else. Assuming that your friend is not materialistic. It is the thought that counts anyway. I am pretty much sure that he or she will definitely appreciate it. A birthday is just another 365 days of our journey in life. This is to celebrate our birth anniversary as we live for another year to enjoy life and continue in making it right. And as we live another year, our responsibilities and obligations towards our country and our family have increased since every step of the way leads us to adulthood. And as we age, we tend to learn more from the different challenges that we encounter in life. Thus, making us mature with these experiences or circumstances that we had gone through. 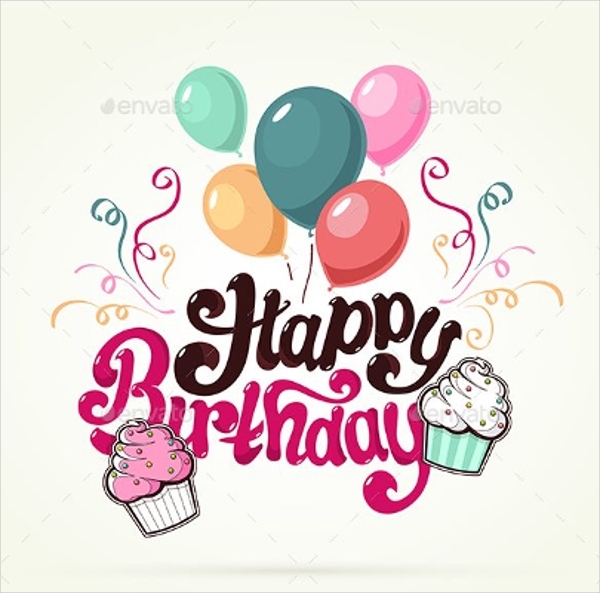 Birthdays, as we all know, have been traditionally celebrated by throwing a party with cakes, ice creams, candles, and gifts with our family, friends, and loved ones. It is made special by the people whom we value the most and vice versa. Since birthdays are significant moments in one’s life, and if you happen to forget your loved ones’ birthday, be ready since things might not turn out great after a day or two. 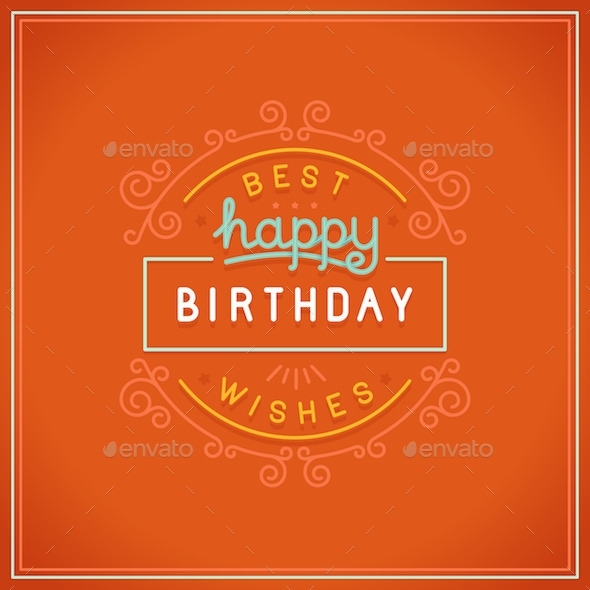 Going further this article, you will see various unique birthday card designs that you can refer to. You can either make your own personalized, or purchase these cards that your family, friends, and/or loved ones would definitely love. 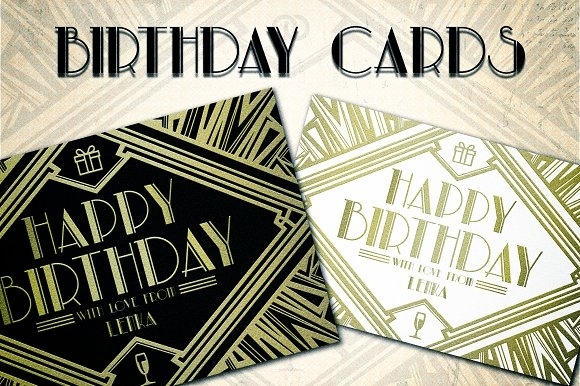 Show them that you care and you did not forget their birthday by giving them some of these. 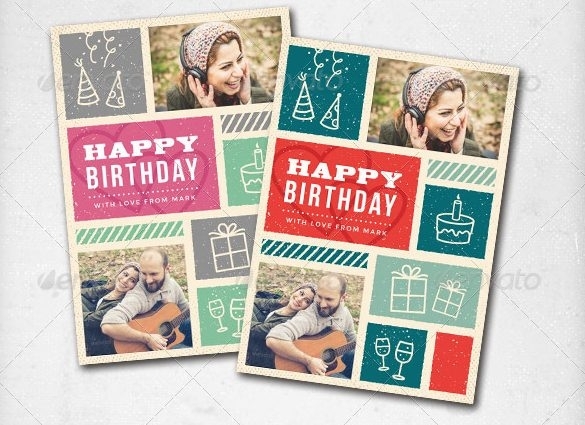 There are various ways to design your greeting card, you just have to unleash your hidden creative self which will help you make a wonderful birthday greeting card. 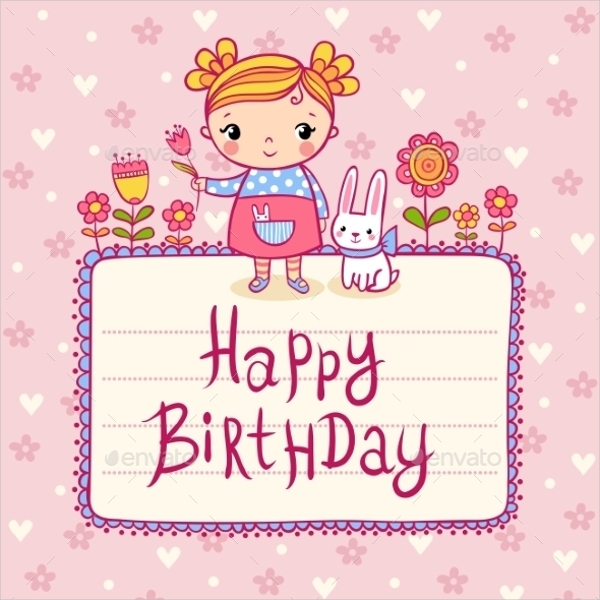 When designing a cute birthday card, you do not have to be an artist, you just have to love what you do and put your heart into it. That is what makes it special. 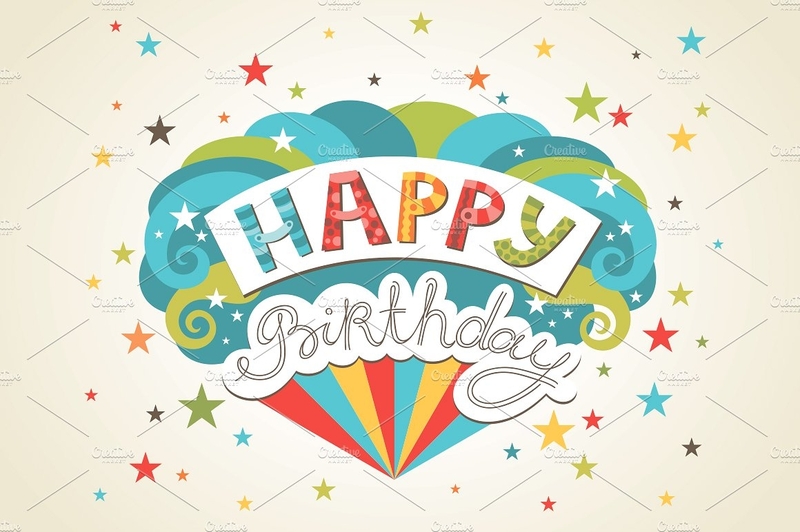 You have to make sure that you make a draft of your personal message to the birthday celebrant before you write it in the greeting card, that is if you are making your card hand written. The following are the different styles which you can refer to or purchase at a reasonable price. Take time to browse these provided for you. Card. 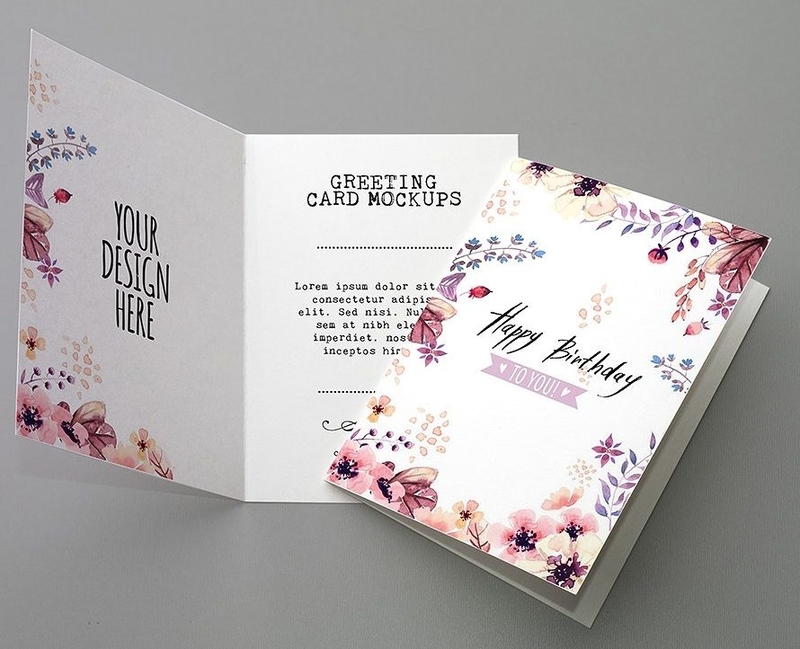 In choosing the card, you have to consider the appropriate size, in which all your design ideas will fit it in. You also choose what style you want it to be. 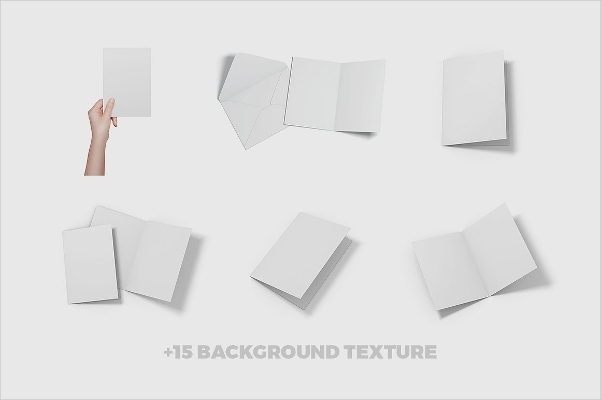 Whether you want it a single page greeting card, a back to back, and/or folded in half. Layout Variation. 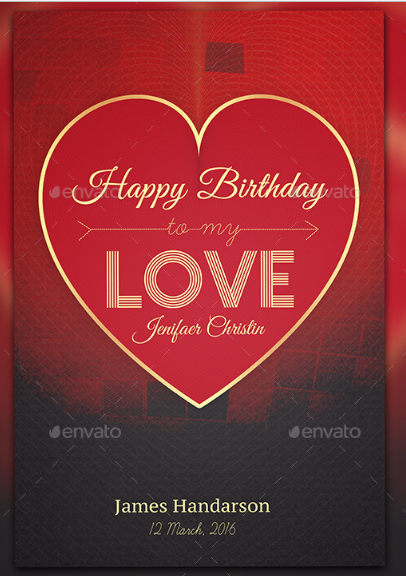 Decide whether you want the card with a portrait layout or landscape. Whichever you are comfortable with would be the best choice. Font Style. 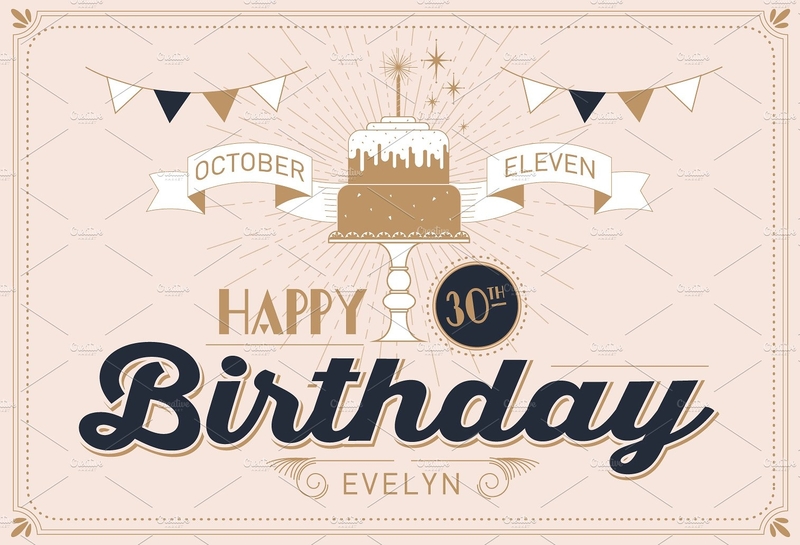 Choose the best font that would definitely go not just with the card designs and styles, but also the personality of the birthday celebrant. Design Ideas. 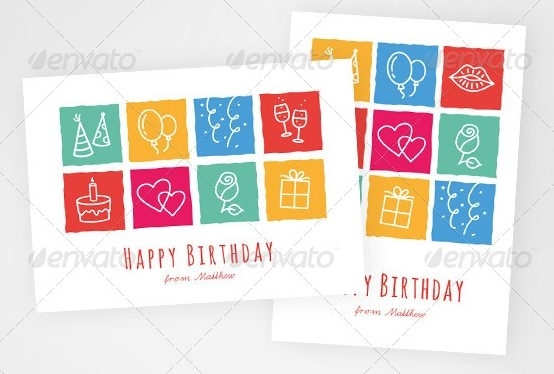 Whether what you have in mind is to put some creative drawings on the card, some different kinds of border styles, various kinds of background patterns, the best font style you prefer to use, etc. Design Materials. Secure the materials that you need such as art papers, coloring materials, card/s, pen, envelope, etc. Make sure that you have them complete so you can finish in due time. The size of your card should be based on the number and sizes of the different photos you want to include in the card. You also have to be considerate when it comes to the lettering or your font size and style. 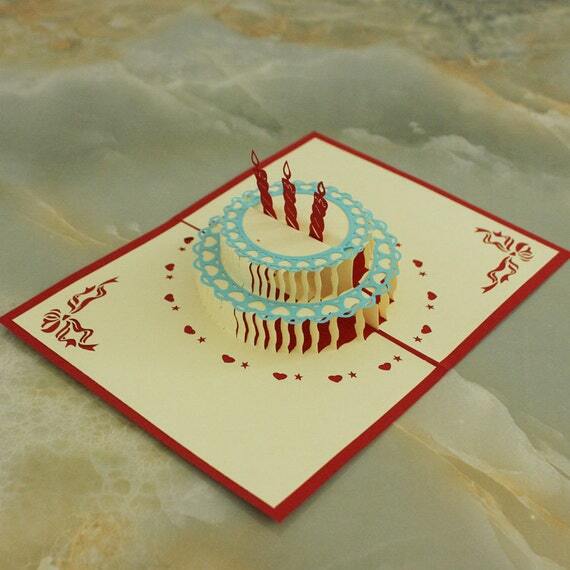 You could design your greeting card by cutting the edges with whatever style you want. It could be cut in a zig zag pattern or to any border cut patterns, if you like. Or maybe just apply some decorative clip art borders. All designing materials that you will be needing must be prepared before you start creating. 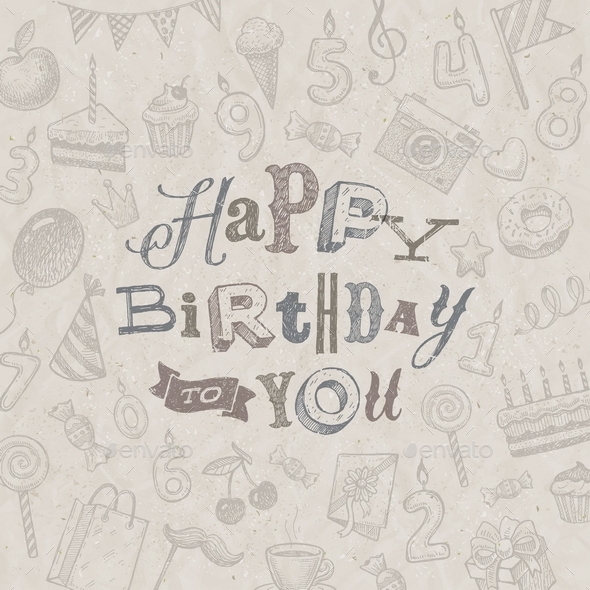 Think of how you are to layout or how you will apply the designs on the birthday greeting card. In this way, it will be easier for you to apply the designs later on. Make sure that you have high quality materials that are durable enough and are long lasting. Your effort that you have put into making it would be a waste if your greeting card can get easily torn just like an ordinary paper. 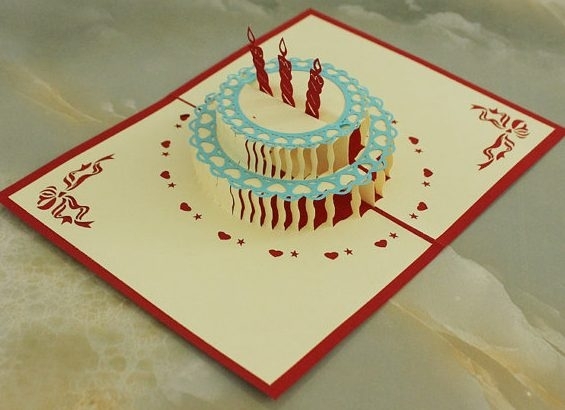 A birthday greeting card could also be made by making it into a birthday pop up card. Turning it into one would undeniably surprise or amaze the birthday celebrant. 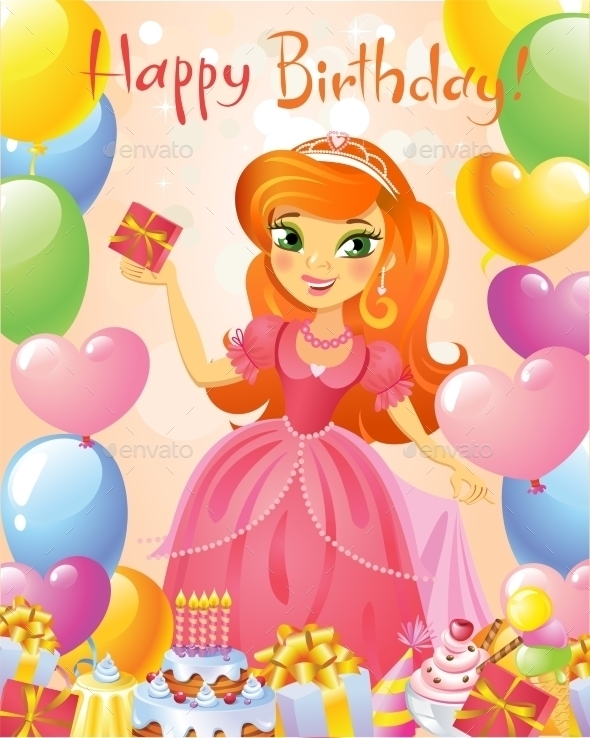 You could make animated birthday cards for kids and/or toddlers. 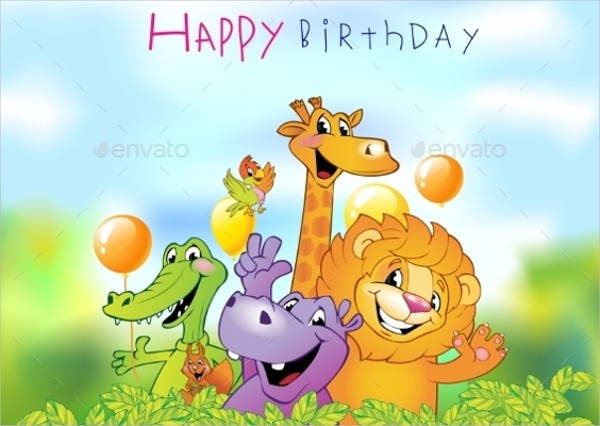 Refer to the Cartoon Animals Birthday Greeting Card below to see how it looks like. Kids and toddlers would definitely love these. You could browse for more reference in the internet to have more ideas about making DIYs or do it yourself greeting cards. You could use recycled materials such as used folders, crumpled papers, etc. What are you waiting for? 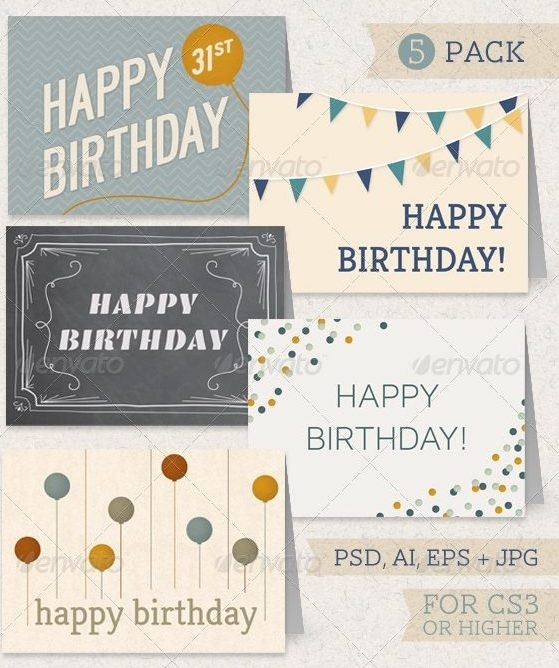 Start designing birthday greeting cards for the people you want to surprise with this simple, yet easy, creative, cost-effective and memorable greeting card gift. 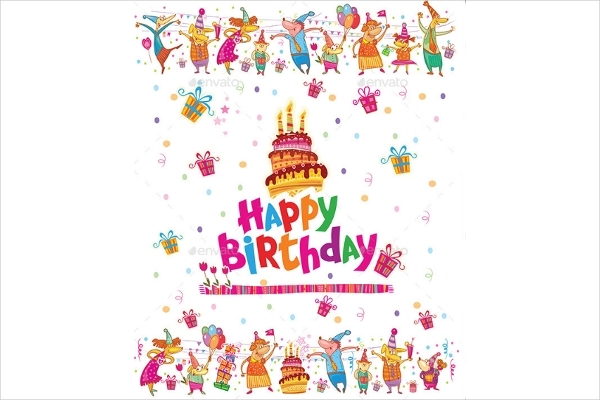 And if you are planning to throw a party on your birthday, refer to birthday invitation designs to have various ideas.